PRICED TO SELL! EXCEPTIONAL VALUE!! Residence 4602 is a Premium Penthouse Suite in one of the best locations on property. This 2 Bedroom 2 1/2 Bath Suite is a premier Ocean-Front location with two separate en suite Master Bedrooms, and 1,774 sq. ft. The spacious floor plan includes a complete and well stocked Kitchen, laundry room, 2 full bathrooms plus a half bath, Huge Lanai with Panoramic Ocean Views, Elevator, Twice Daily Housekeeping, Complimentary Storage including Golf Club storage, valet parking and many additional amenities. This fractional time period is the sought after Summer time-frame including the July 4th Holiday weekend. Enjoy your time on property at the main pool area, pool side bar, or Cane and Canoe restaurant. 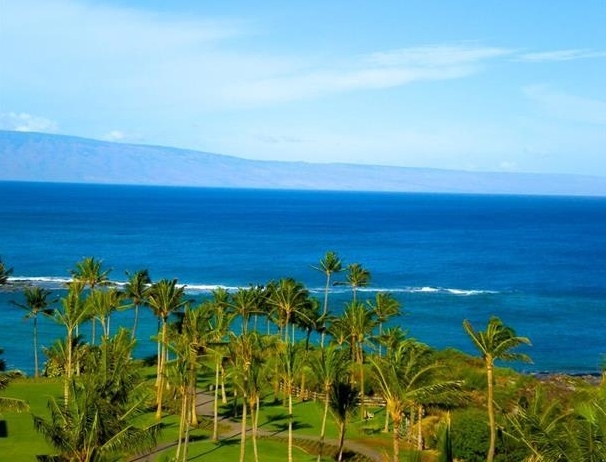 Additionally, you are just steps to one of the most beloved beaches on Maui, Kapalua Bay. Ownership in Montage Kapalua Bay also gives you access to the private Beach Club located just above the beach at Kapalua Bay. A deeded, one-twelfth fractional ownership interest provides 21 days per year plus additional per diem days with flexibility to move weeks throughout the year. The Association Dues are paid annually, and are currently paid through 2017.